Standard house, based on old cabins in the Dalsland area, Sweden. 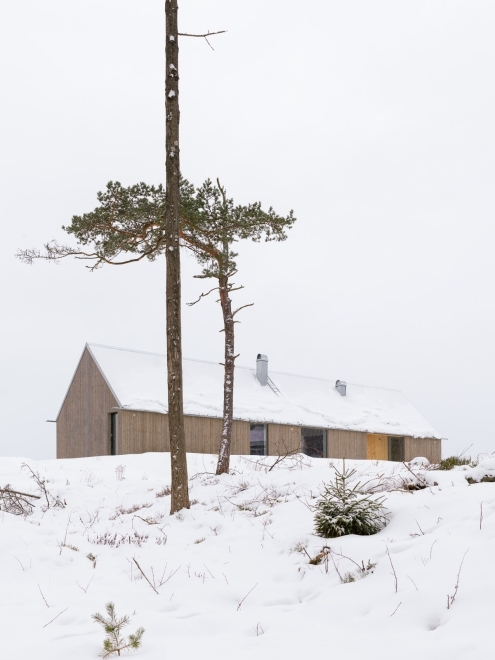 Winner of 1st prize in "Dalslandstugan 2.0" architecture competition, 2015. Competition proposal and realised project in collaboration with Jim Brunnestom and Magnus Hellum. First house built by Fridh och Hell Bygg AB, in Bengtsfors, Dalsland, 2018.